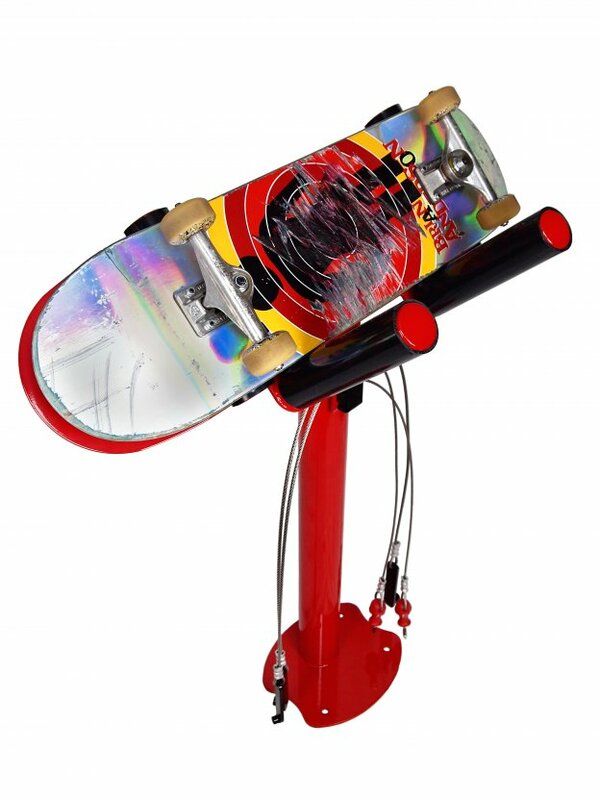 We're not all about the bikes - skateboards are included in our thinking! 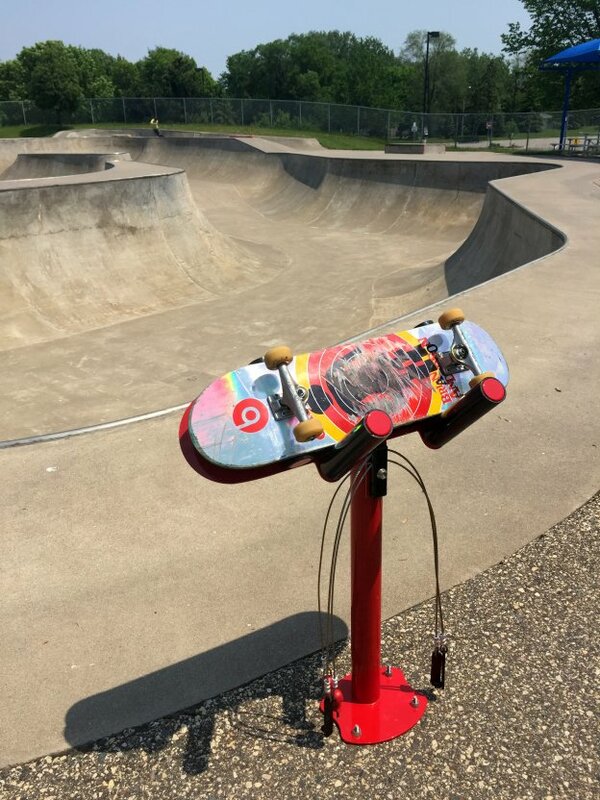 Much like our Bike Repair Stands, you can strategically place skateboard repair stands close to skating facilities. 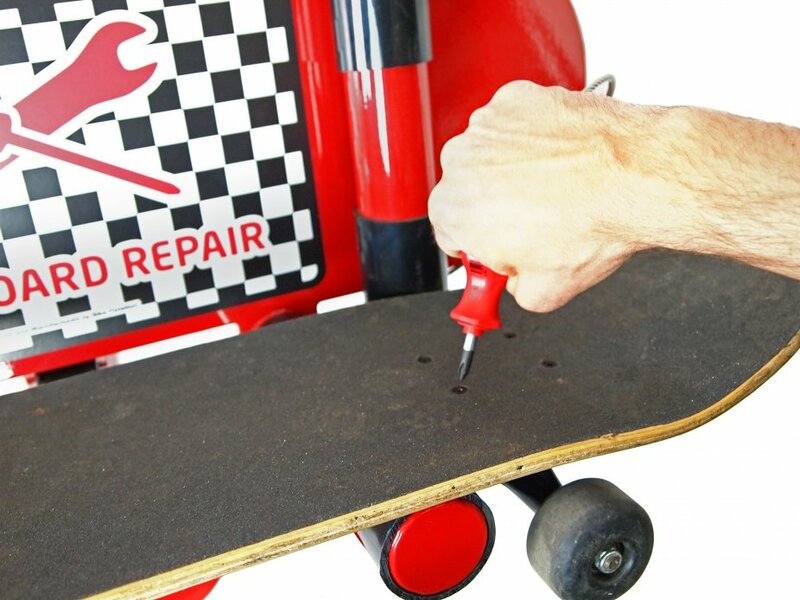 Our latest product allows you to fix your skateboard on the go like a pro. Two working positions to make adjustments on either side of the skateboard easy. 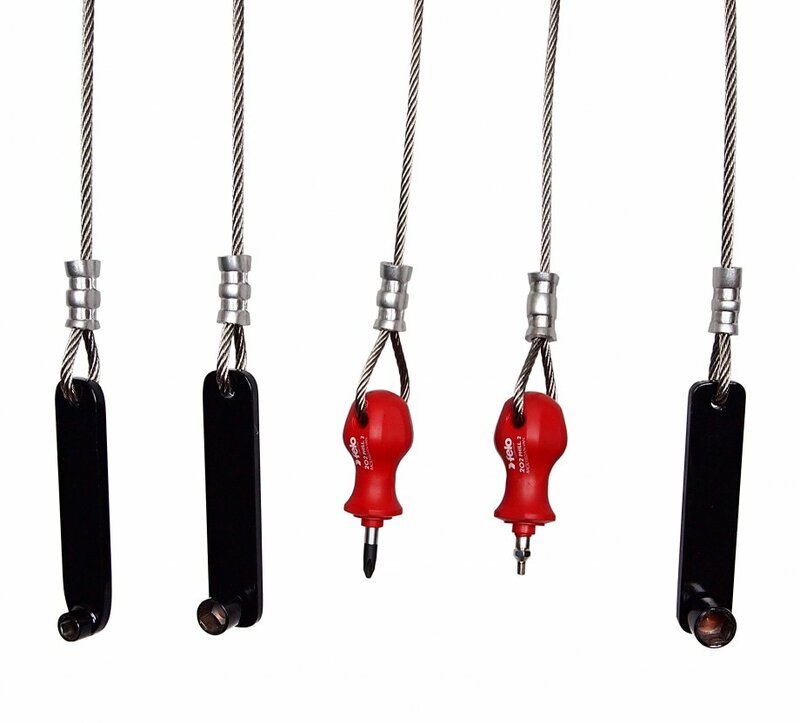 A large surface area which is great for sponsorship and signage. Our silution comes with standard artwork - but you can make it your own. 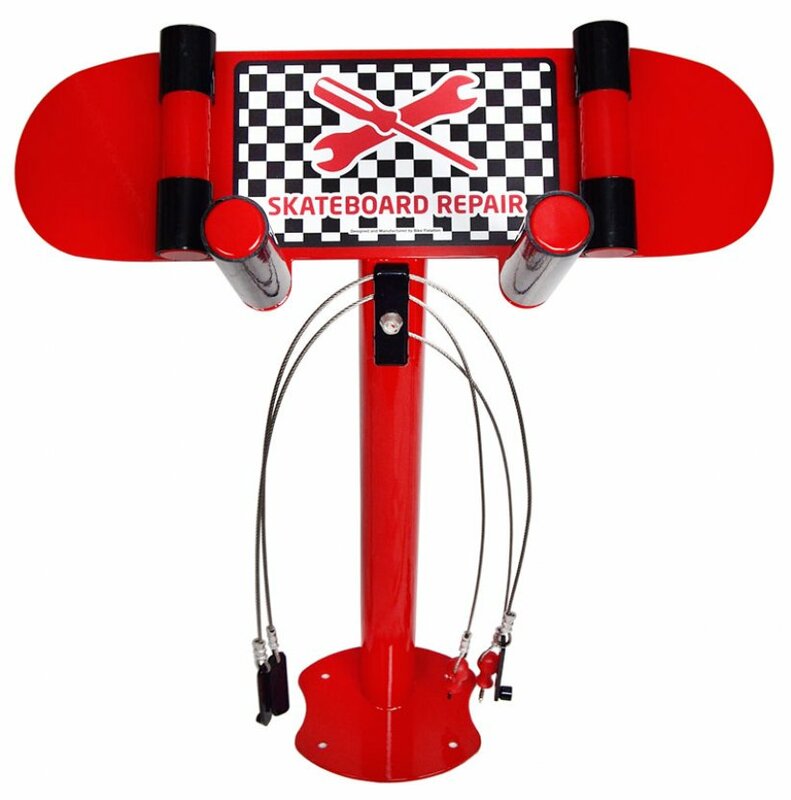 A 11x17" Skateboard Repair Sign for enhanced visibility of the fixture. 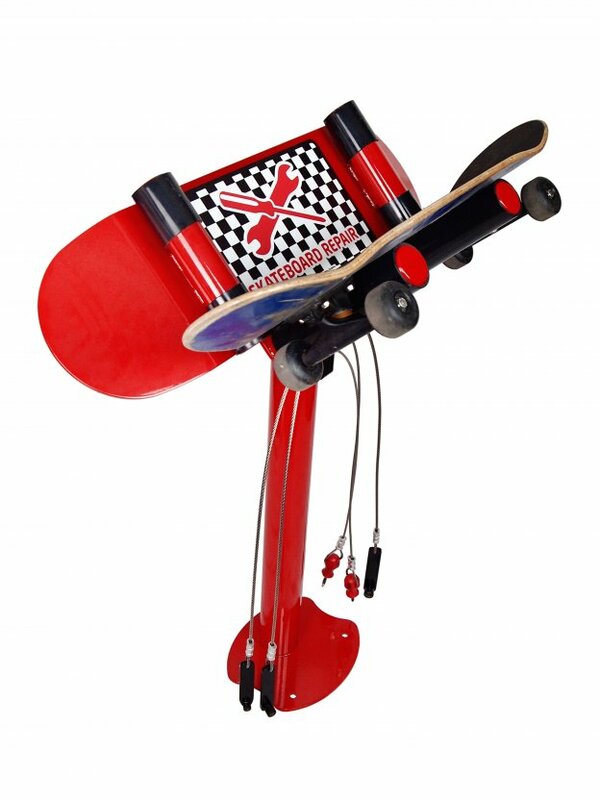 A universal height setting which is ergonomic for children and adults to safely use.